Spring is here and it makes me so happy! I recently shared that I clearly have a serious Easter Egg problem, but I’m okay with it. 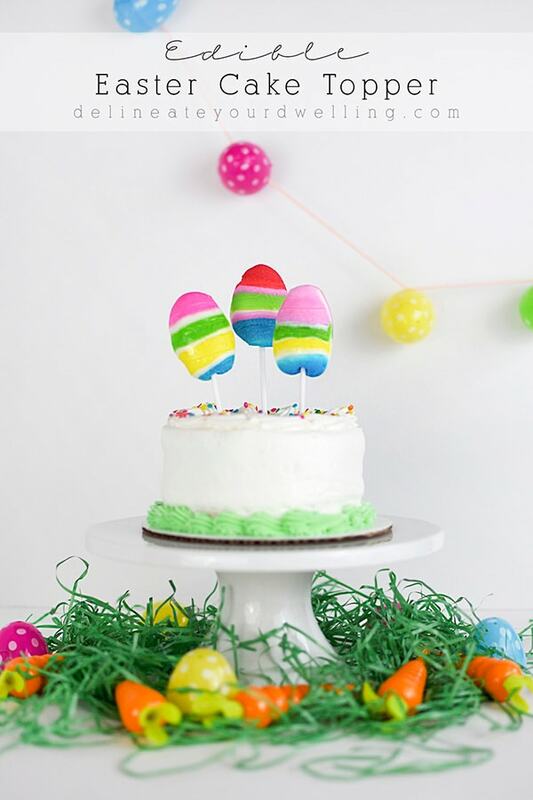 Something about the cheerful colors of Easter Eggs and my heart does a happy dance. 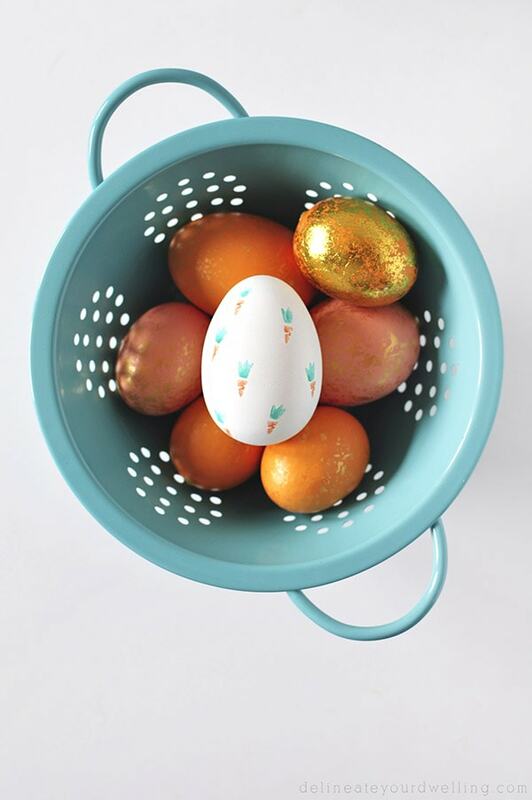 Today I am sharing some of the simplest but so fun, Easter Eggs I’ve made to date. 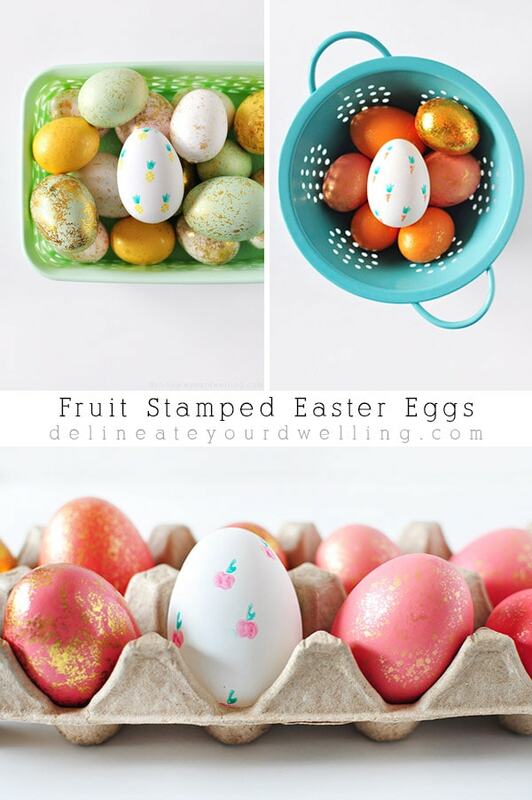 Check out these Fruit Stamped Easter Eggs! 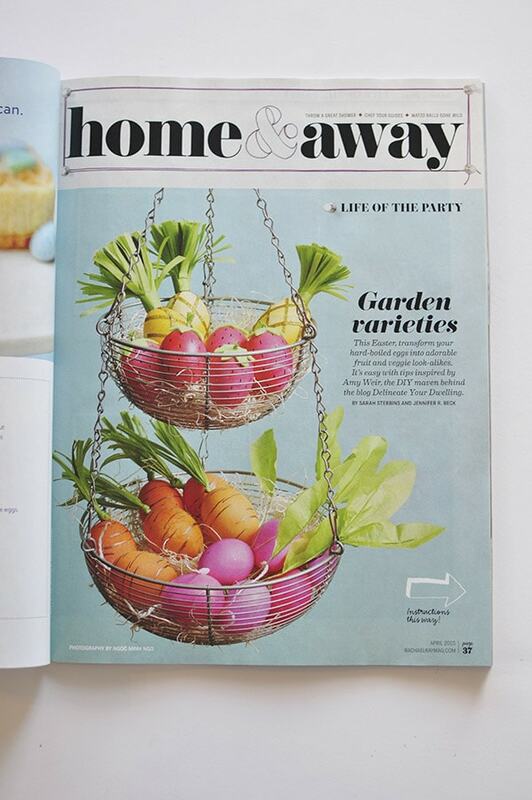 So, last year I had the privilege of having a three page spread in Rachael Ray’s Everyday magazine (whaaaat) and I designed the BEST easter eggs for them. And now I just want to make those same eggs again because they were so stinking cute. Instead, I went with a similar fruit theme and they turned out pretty fun! On a scrap piece of paper draw out a circle and break down the basic shapes of the fruit and how they would fit best on a circular pencil eraser. 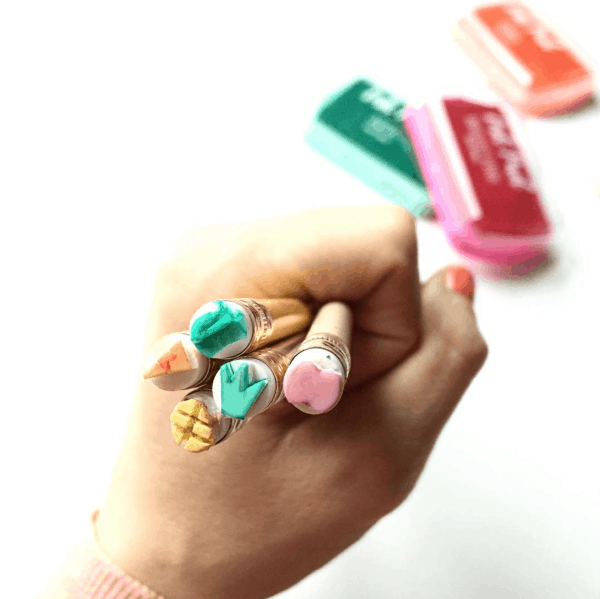 Once you know your simplified shapes, use another pencil to draw those shapes onto your erasers. You can see below I drew out my pineapple base shape and the pineapple top (which I also ended up using for the carrot top). Very slowly, cut away your eraser to create the shapes you drew. Honestly, this step was much easier than I thought it would be. Just PLEASE be careful of those fingers! 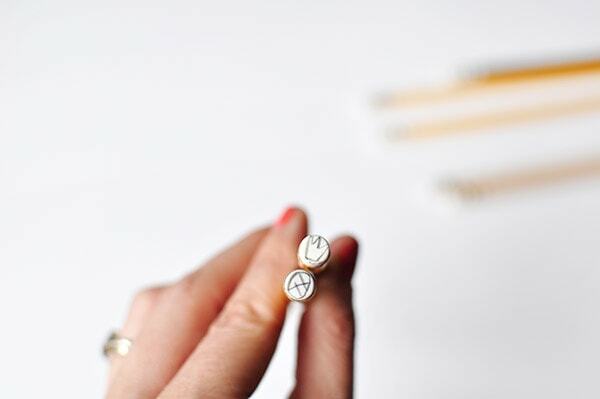 Next, use your pencil eraser like a mini stamp and get to stampin’! First I did my pineapple tops in the minty green ink. The pineapple turned out so great and then I set it aside to dry while I worked on my carrot. Making stamps is something I’ve wanted to try for a while and although this is more difficult than creating a more typical sized stamp and stamping on plain flat paper… I was completely smitten with the process. I mean, who doesn’t LOVE miniature things! I shared this picture of all my little mini stamps on Instagram. SO CUTE. My pineapple stamped eggs were colorful and light. 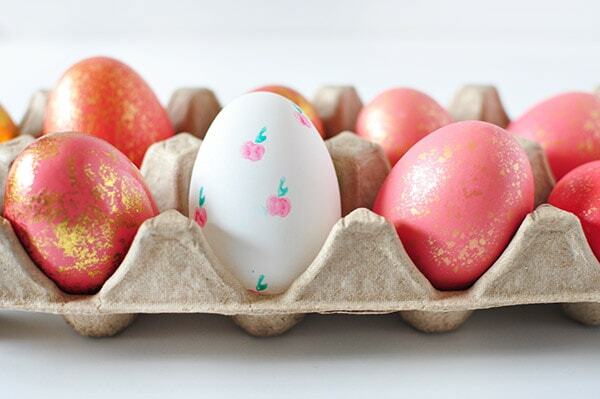 The apple stamped eggs were more saturated and bold. And possibly my favorite (although, how could I say no to a pineapple easter egg? 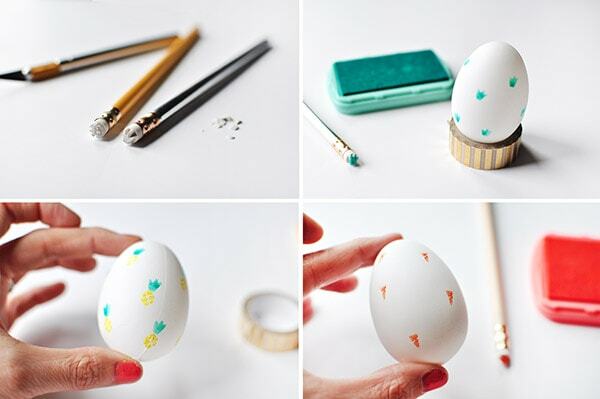 ), the carrot stamped egg is fun and adorable. 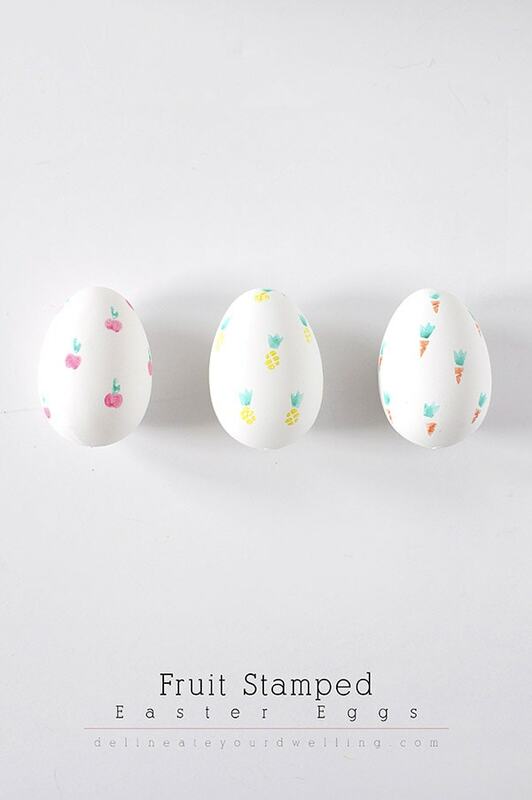 And if you liked these adorable fruit stamped eggs, don’t forget to pin them for later. 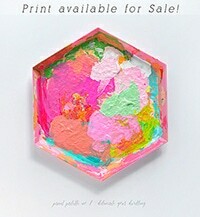 I will definitely be saving them and adding them to my monster box of colorful Easter Eggs! Oh my word! Love those pineapples 🙂 Thanks for sharing! 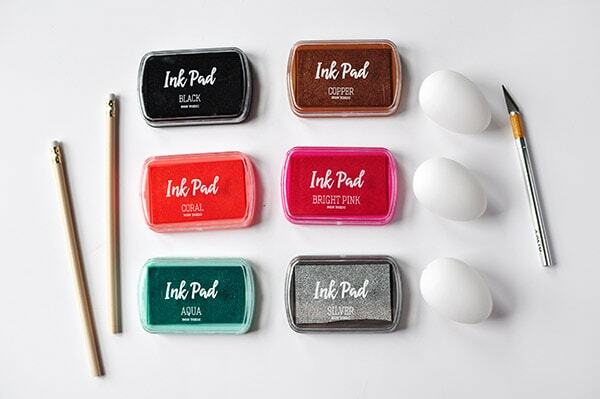 these are the cutest stinking eggs ever! So darling! Just adorable, Amy! Love them. 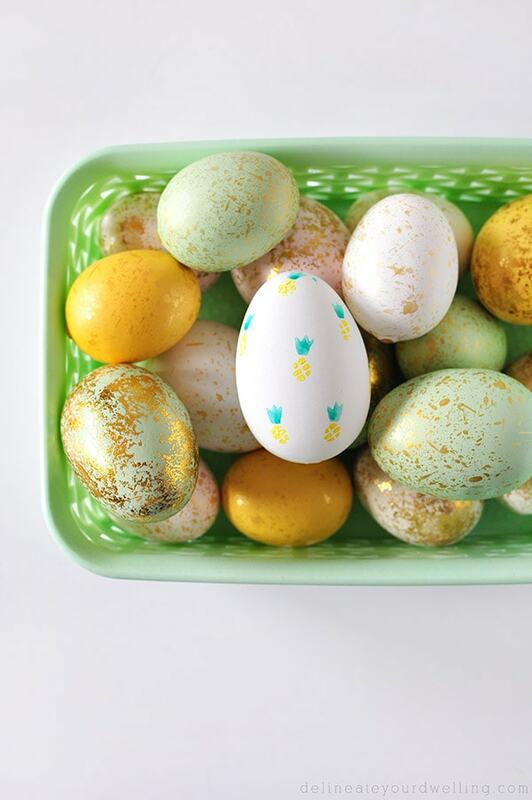 The perfect complement to the eggs you did last year. Thanks so much, Jenn!! You are too sweet. Aaaaahhhhhh these are totally adorable!!! My favorite eggs of the year! Oh my gosh!!!!!! SO stinkin’ cute! 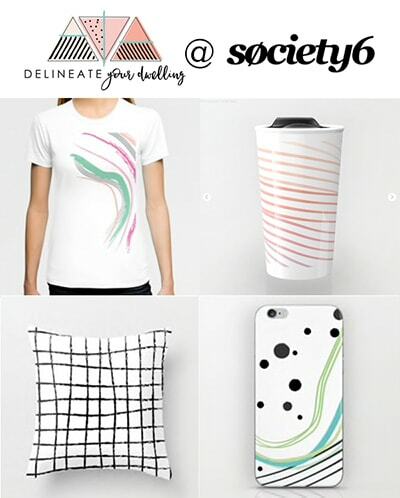 Your creativity totally blows my mind my friend! 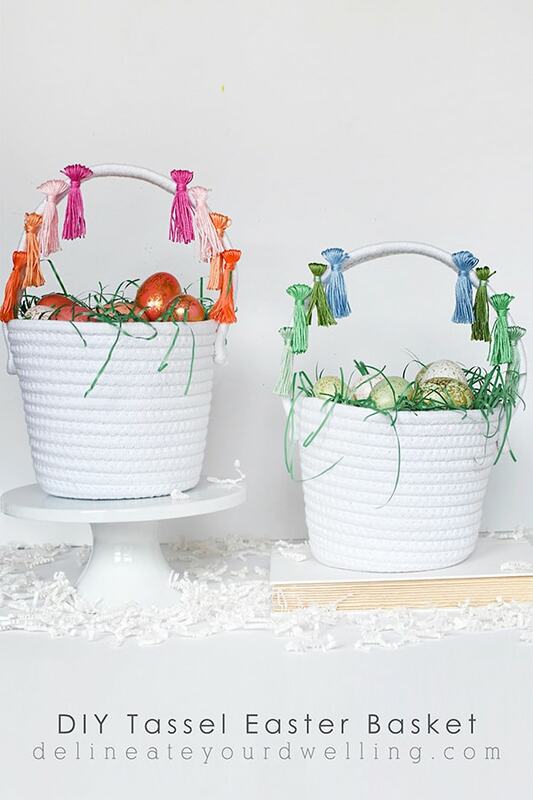 LOVE these sweet little eggs!